AUTHORITY CREATIVE — Potowski Av. 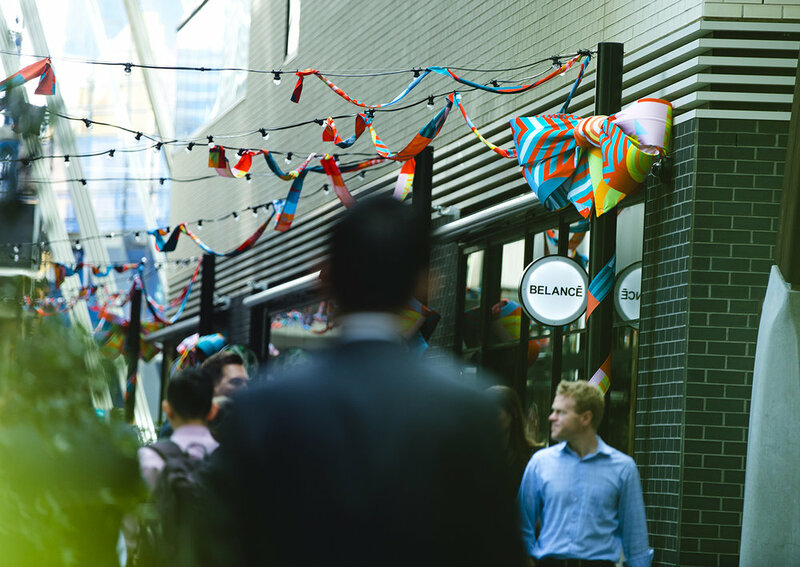 Authority Creative was invited to devise a fresh take on the festive season as a part of The Streets of Barangaroo's Christmas 'Ideas Unravelled' series. When our vision for the space met with the wild and energetic designs of Maurice and Matthew at Goldberg Aberline Studio, 'Rad Bows' was born. Injected with bold hues and punchy shapes, Rad Bows is a collision between couture and youth-culture inspired by classical Christmas gift giving. 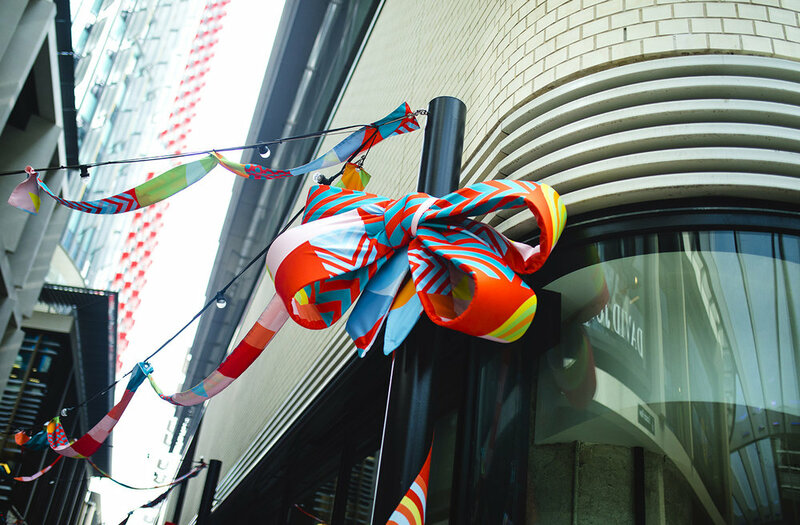 In line with Scotch Row's place identity to be a site for contemporary craftsmanship, each bow and ribbon was custom made from print design to thread and installation. The Goldberg Aberline Studio (GAS) was formed by Maurice Goldberg, an architect, and Matthew Aberline, a film and entertainment designer and scholarship graduate of the Australian Film, Television and Radio School. Together they create immersive art experiences that engage viewers by creating happiness, a sense of awe and fun. Due to the exuberant nature of their work, their engagement is truly multi-generational and continues to be the focus of research by The Centre for Creative and Cultural Research at the Canberra University. A pair of consistent over-acheivers, Aberline is represented in many of Australia’s important museums for his extraordinary costume design. Maurice, originally an architect, renounced his CEO title of three businesses in the BRW Fastest 100 growing companies in Australia to become an artist. The pair are currently working on a project with Aboriginial artists from the Pilbara that will tour Australia before the duo jump on a plane to take their huge 3 storey high “Live For Love” inflatable to NYC in June of 2019. "It is Prides 50th anniversary and world Pride festival will be in USA for the first time and they have invited us to bring some Aussie joy to the Big Apple. All we need to finalise there is a key sponsor who wants to be part of our very bright, very big, very impactful installation and be in-front of a few million visitors" says Maurice, who is all ready well underway on this dream project. Goldberg and Aberline's work is about creating environments where happiness, excitement and enthusiasm are inevitable. Each piece is linked by a love of engineering, intricate design, handcrafted objects and digital processes.